shape like a long, thin letter S, as indicated in the drawing. Hawaiian guitar note will result. The next step is to make the saw produce different tones. 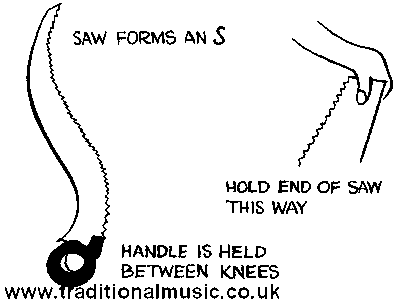 always keeping it in the shape of an S.
The musical saw is used as a rule to play simple, slow tunes.